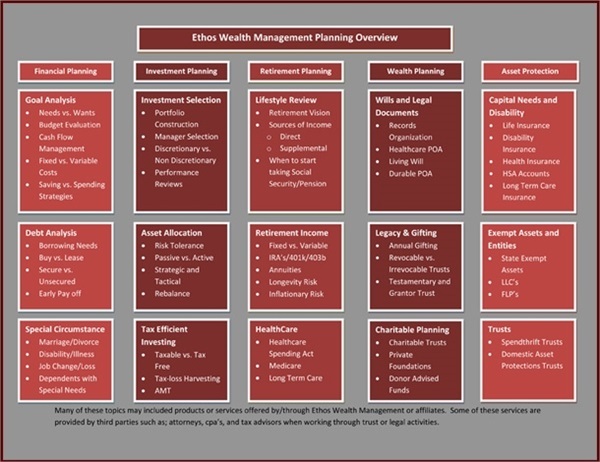 Ethos Wealth Management and LPL Financial do not provide tax or legal advice or services. Please consult your tax or legal advisor regarding your specific situation. LPL Financial Representatives offer access to Trust Services through The Private Trust Company N.A., an affiliate of LPL Financial.